The Oceanographic Museum at sunset. 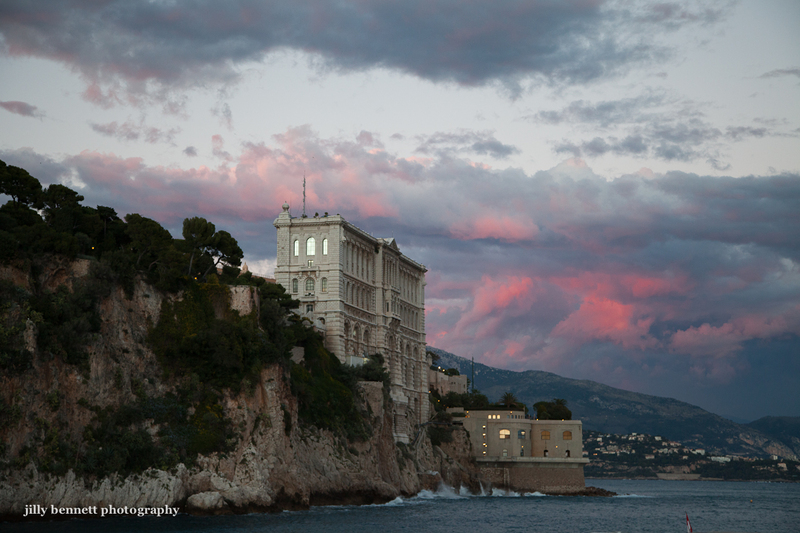 There's a dawn photo today on Menton Daily Photo. Actually, Jilly, this is splendid. I like it much more than your sunrise one because of the clouds and the colors and the textures. The tones are more like a neatly done watercolor or acrylic painting. It would sure made a nice model for painting purposes. It is hard to judge the scale of the things in the picture. The largest building seems to have 5 floors to it which makes it pretty big. Really beautiful lighting to this one, Jilly; "Dramatic," as someone called it on Facebook.